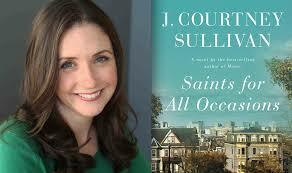 Novelist J. Courtney Sullivan’s fourth novel is Saints for All Occasions. It’s a multigenerational family saga which follows the story of two sisters, immigrants to America from Ireland. Such nostalgia-producing Catholic devotionals as holy cards, the miraculous medal, prayers said by rote, and the catechism learned by heart all make an appearance. The episode also includes a bit of audio from the press preview of the Metropolitan Museum of Art’s “Heavenly Bodies: Fashion and the Catholic Imagination.” The show’s curator, Andrew Bolton, defends the show’s opulence as simply in keeping with the wide range of Catholic beauty. Please go to www.wesufm.org/pledge and give what you can. Any amount with a five in it will nicely mark the fifth anniversary of “Reasonably Catholic: Keeping the Faith.” Thanks! Tom Wolfe: Life is good, but for what? Life in America is good, declares Tom Wolfe, a writer generally not known for his sunny views. But it’s far from what it should be. The author of the best-selling Bonfire of the Vanities and The Right Stuff came to Brown University last night – yes, he was wearing the trademark white suit – to sum up “the spirit of the age” in a speech at Salomon Hall. One would have to be “expecting the moon” to be glum, considering America’s money, power and standing in the world, and especially when you compare it with other societies throughout history, he said. *Going into debt – even going bankrupt – is no longer shameful, it’s a financial strategy. *The “sexual revolution,” he said, is only “a prim term for the lurid carnival” going on now. Wolfe is left reeling by the concept of co-ed dorms, in which nubile youths “in the season of the rising sap” share bathrooms. *Young people who once would have become philosophers are so discouraged by their professors’ “rhetorical taffy-pulling” that they turn instead to the neurosciences to explain the soul, mind and psyche. *Serving on the local museum board shows one’s “spiritual worthiness” better than joining a church. Such an attitude is bound to create a tide of cynicism, said Wolfe. Already, millions are so hungry for moral certitude, they are turning to Pentecostal “tub-thumping Christianity” or else such New Age solutions as channeling, as in a spirit. He recalled that, once, a Zen abbott asked the editor of Time magazine, “Why do you publish it?” After some hemming and hawing, the editor replied that it was for the good of the readers. In the same way, said Wolfe, life in America is good – but good for what? Earlier, during the press briefing in one of Brown’s elegant parlors, Wolfe talked with students who are now reading his works in class. 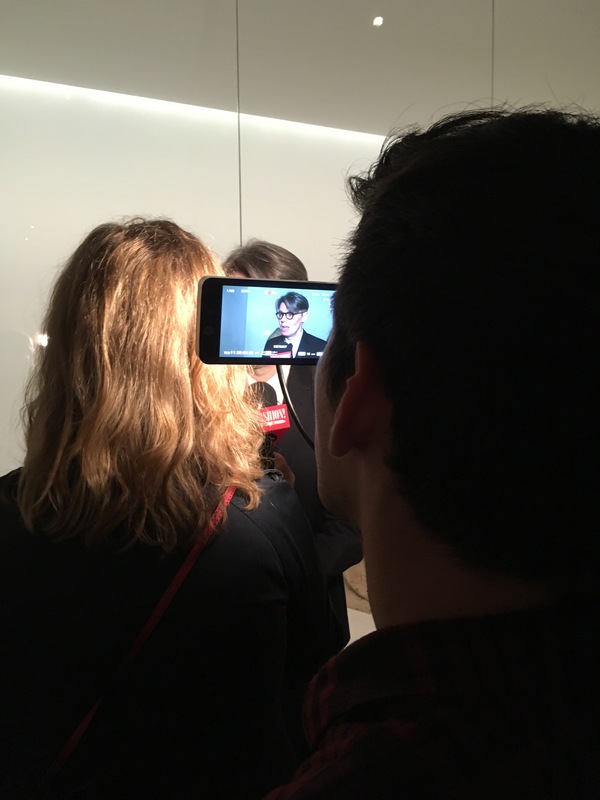 One, Amanda Ariscom, a senior English major in tiger-striped velour pants and combat boots, asked about “objectivity” in the “New Journalism” he’d pioneered three decades ago. He then launched into a general critique of his former trade: how sad it is that most cities have but one newspaper (it means reporters don’t have to work as hard), and that television and radio rely so much on it. Student Amy Lorocca, a junior English major, challenged him on this: By going online, she said, you can call up as many different newspapers as you’d like, including the Moscow Times. His advice for budding journalists? “Work harder than they tell you to.” He recalled how shocked he was, as a young reporter with the former New York Herald Tribune, to see six reporters from other papers loitering in a room at the federal courthouse, waiting to be fed verdicts by a court official, then copying down whatever the least lazy reporter called in to an editor. Both The Right Stuff and Bonfire of the Vanities were made into films, and Wolfe was asked his thoughts. The former was “not a bad movie,” he said, but the latter one was, mostly because the tale was too involved to tell in two hours; he thinks it would have worked better as a serial. His favorite recent movie is Clueless, which he’s seen three times, because of its good satirical writing. He believes, however, that when it comes to explaining things and getting into a character’s head, movies are bound to fall short. In The Right Stuff, for instance, all the viewer knows is that Chuck Yeager, spiraling out of control, is in “big trouble,” but that then he ejects and makes it.